UK travellers planning to take holidays in Chicago over Christmas may want to look into arranging a comprehensive medical travel insurance policy ahead of their trip, following news of a whooping cough outbreak in Cook County and the surrounding areas. People have been alerted to the outbreak after figures released by the Illinois Department of Public Health (IDPH) showed that 1,149 people were found to be suffering from whooping cough, or pertussis, across the state as of December 13. Of these, 227 pertussis cases were detected in McHenry, 275 in Cook, 217 in DuPage, and 112 in Lake County, according to a release from the IDPH. 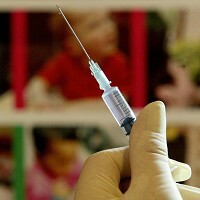 A majority of whooping cough cases have been reported in infants who are too young to receive vaccinations. The pertussis vaccine should be administered to parents and others who come in contact with infants, according to the IDPH. Dr Kenneth Soyemi, acting director of the IDPH, said in the release: "In general, the majority of pertussis cases, hospitalisations, and deaths occur in infants less than two months old, who are too young to be vaccinated so the key is protecting these infants and limiting their exposure. "Pertussis vaccination for infants begins at two months, but young infants are not adequately protected until the initial series of three shots is complete at six months of age."